Vivid colour, turbo power, Italian style. 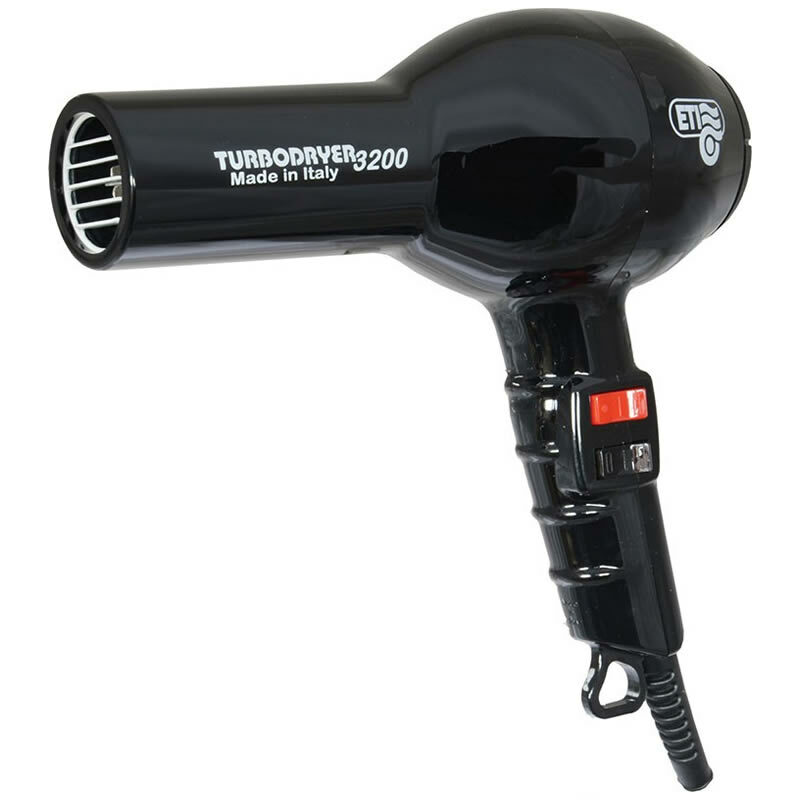 The update to the classic ETI 2000 Turbo Dryer certainly doesn't disappoint. 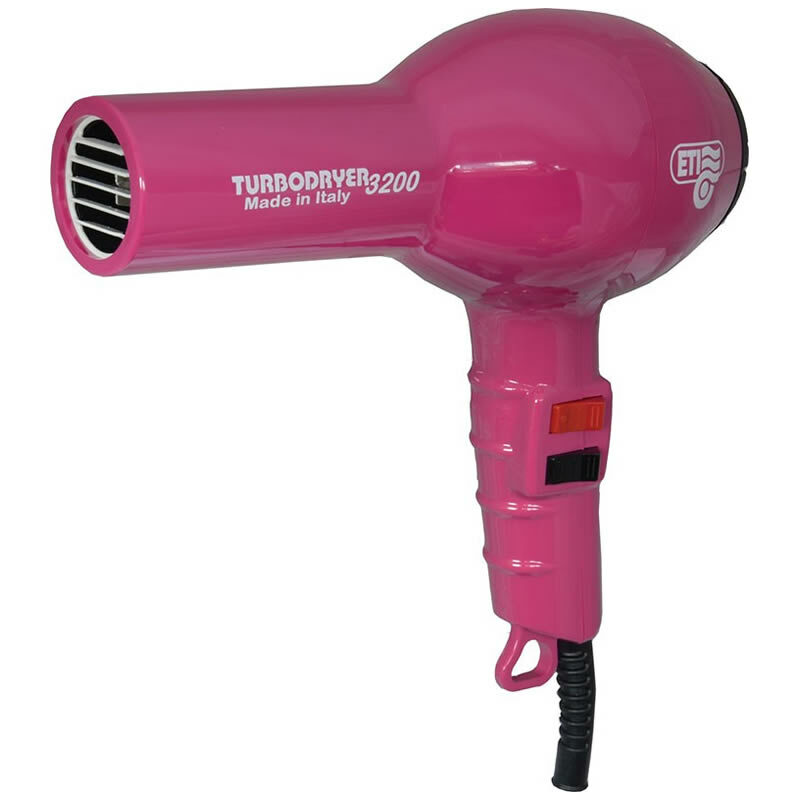 ETI have raised the bar for performance with a 1900-watt motor that drives a powerful air flow of 83 m³/hour to ensure hair is dryed quickly and efficiently. 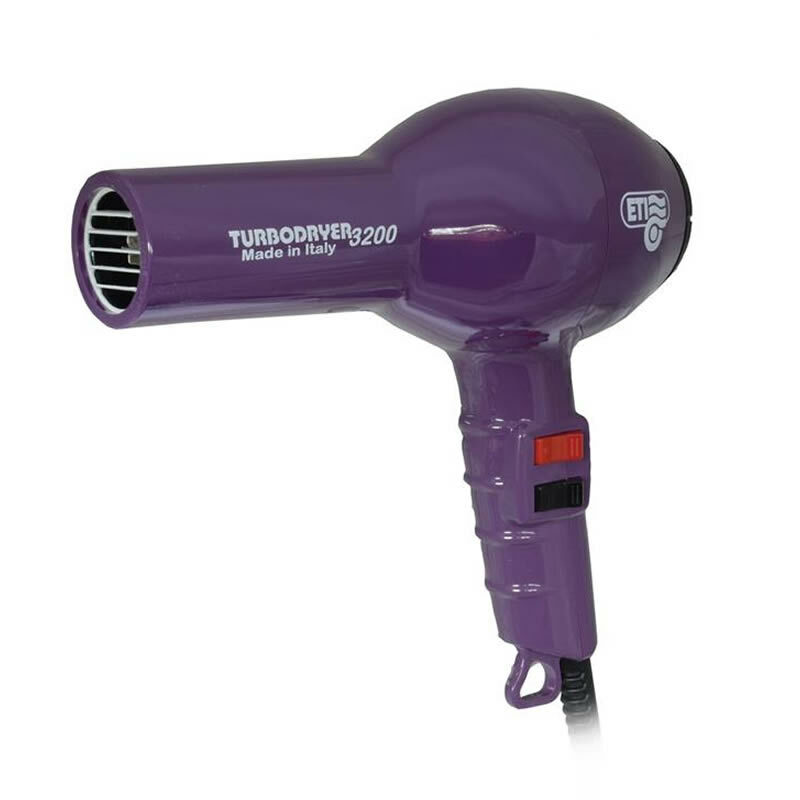 Power is controlled via 2 rocker switches on the handle with 4 heat settings and 2 speed settings to give you excellent versatility for all types of hair and style. The 3200 also has a removable rear filter which makes it easy to clean and therefore keep it drying perfectly for longer. 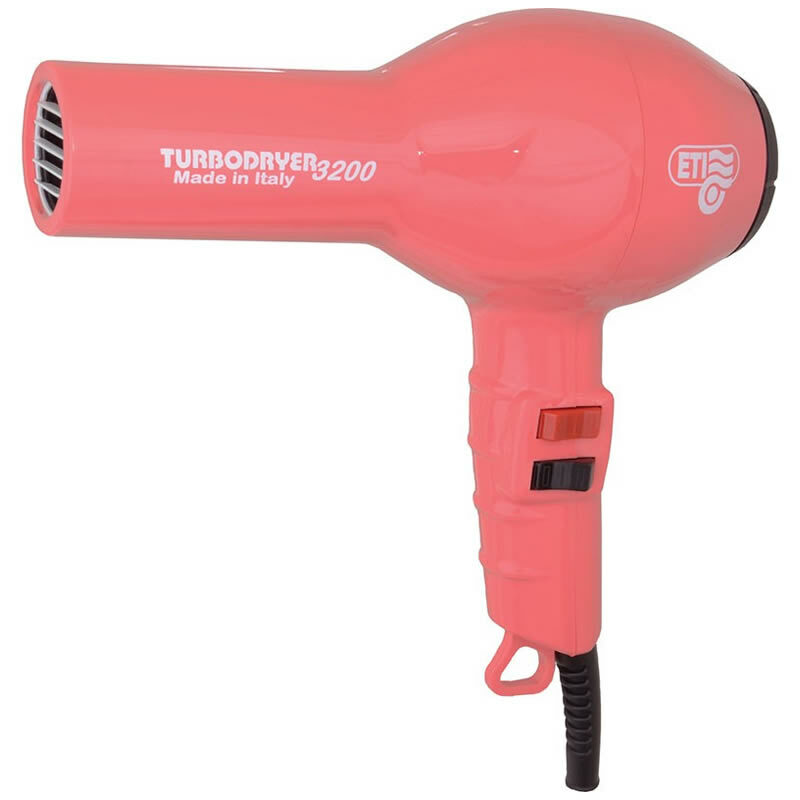 The ETI 3200 Turbo Dryer weighs in at 600 grams. 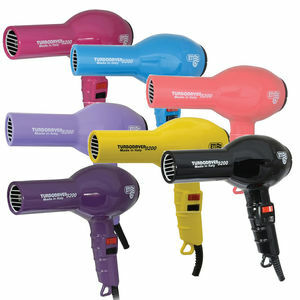 It's supplied with 2 concentrator nozzles and is available in 4 colours. £51.54 (inc. VAT) Why no VAT? We're a trade wholesaler and quote our prices without VAT to help our VAT-registered customers understand the true cost of a purchase. Black vent brush shaped to follow the contours of the head, for more effective brushing. Soft-touch handle which looks smart and makes it easy to grip and comfortable to hold.